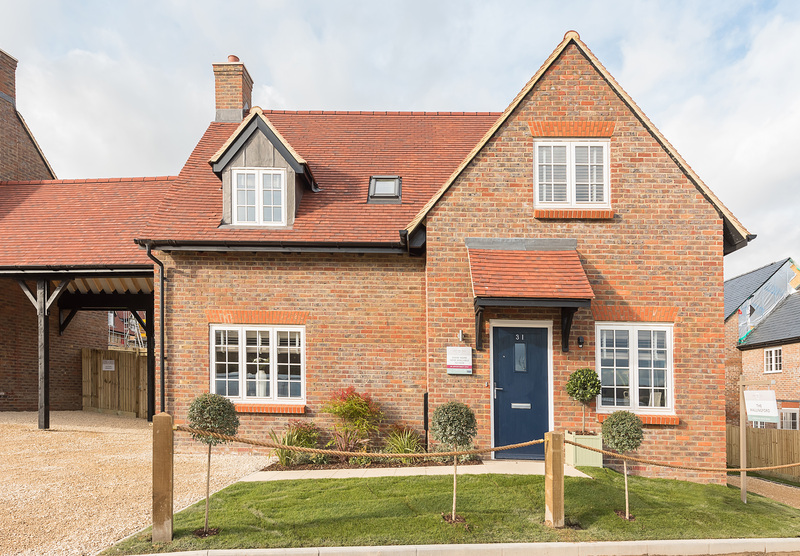 This 1.6 hectare site in Saunderton is located within the Green Belt and Chilterns ‘Area of Outstanding Natural Beauty’ (AONB), within the district of Wycombe. The site was in use as an industrial yard when Dandara purchased it in 2012. Located adjacent to a train station which provides direct access to London within 40 minutes and surrounded by countryside, the site represented an ideal residential development opportunity. There were a number of significant planning issues to address, including the loss of employment along with the green belt and AONB designations. The site was also heavily contaminated due to the many years of ad-hoc industrial uses including car breakers and skip hire. It was demonstrated that not only were the existing uses in decline, but also that the yard was poorly located, and difficult to access by HGV’s. The operation and appearance of the industrial yard also had a detrimental impact on the landscape and character of the AONB. After discussions with the local authority and Parish Council, Dandara achieved planning permission for the re-development of the site to provide 42 dwellings. This involved an extensive design process to address the green belt and AONB requirements. It was demonstrated that the proposed development would have no greater impact on the openness of the green belt and instead would enhance the character of the Chilterns AONB, through the use of specific materials and design features. Through careful use of design and landscaping, an increase in build of circa 15/20% was achieved on the site whilst meeting the National Planning Policy Framework test of having no greater impact on the green belt. The site is currently under construction and will be completed in Autumn 2018.